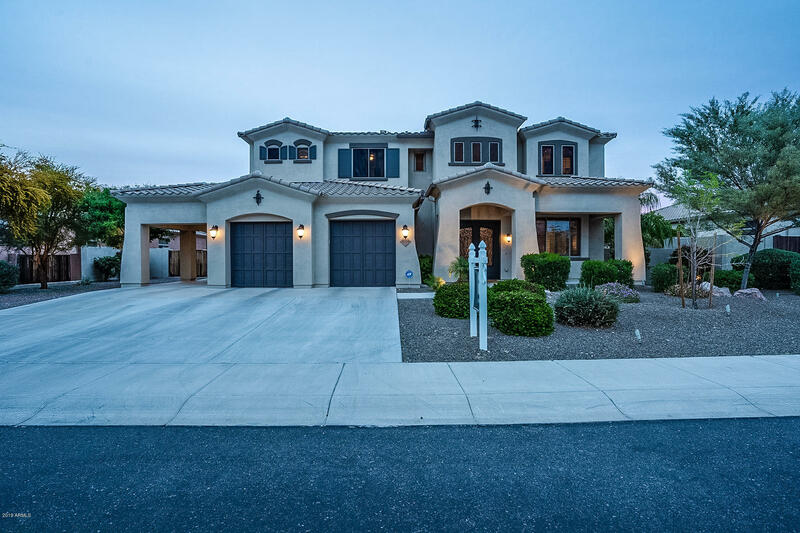 All CIBOLA VISTA PARCEL 2 homes currently listed for sale in Peoria as of 04/23/2019 are shown below. You can change the search criteria at any time by pressing the 'Change Search' button below. "Absolutely stunning! Enjoy the summer days or beautiful sunsets relaxing poolside in your very own resort style home. There is plenty of room and something fun for everyone to enjoy from the gourmet kitchen, upstairs game room, basketball hoop and RV parking, this home has everything you will want and need. The views are amazing, close to shops, great schools and minutes 10 minutes from Trilogy golf." "If you are looking for a spectacular, spacious family home in a great neighborhood, this is it!! The interior of the home has beautiful finishes, spacious rooms and a loft. Additionally you'll enjoy an upgraded kitchen with GE Monogram appliances, granite counter tops, a spacious walk in pantry and butler's pantry. Artificial grass in the front yard will ensure it stays green all year long. The interior of the home is spacious with vaulted ceilings, a beautiful open format great for entertainin"